Tooth decay occurs when the enamel and dentine of a tooth become softened by acid attack, producing a cavity (hole). 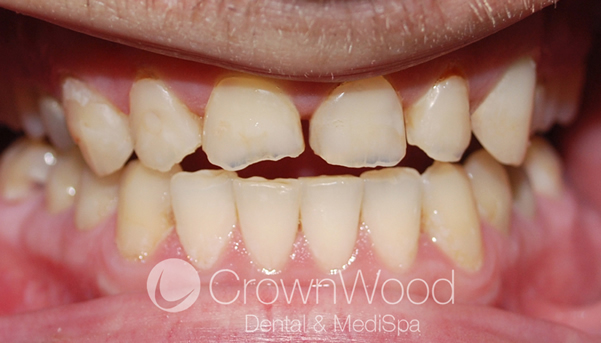 Decay may or may not cause discomfort, however, even when it doesn't hurt, the tooth is still deteriorating. Early tooth decay does not tend to show many physical signs. Sometimes the tooth looks healthy, but your dentist will be able to see from an x-ray whether you have any decay under the enamel, any possible infections in the roots, or bone loss around the tooth. 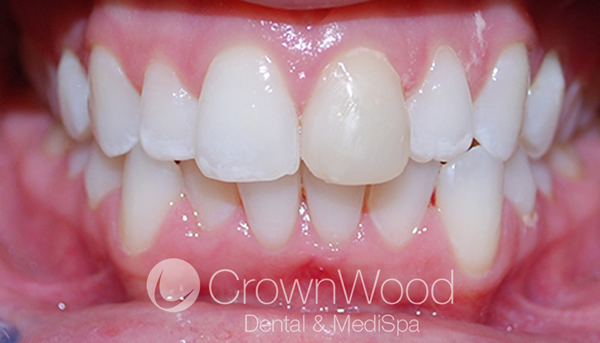 If the decay is not too serious, our cosmetic dentists will remove all the decay and restore the tooth with a white (tooth coloured) filling. At CrownWood Dental, our dentists can also safely replace silver amalgam fillings with white fillings, improving the appearance of your smile. 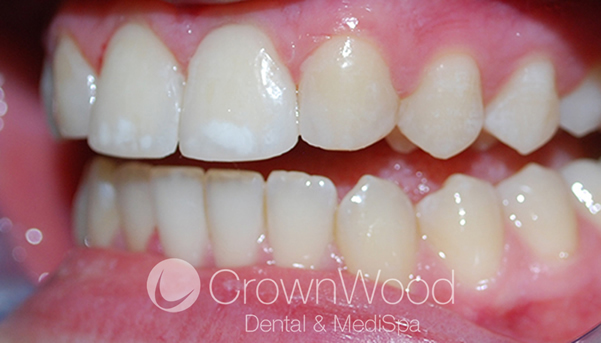 Composite bonding is an alternative to porcelain veneers and dental crowns. It provides an attachment between a tooth's filling material and the tooth’s original enamel and dentine. It looks like the original tooth and functions like it as well. 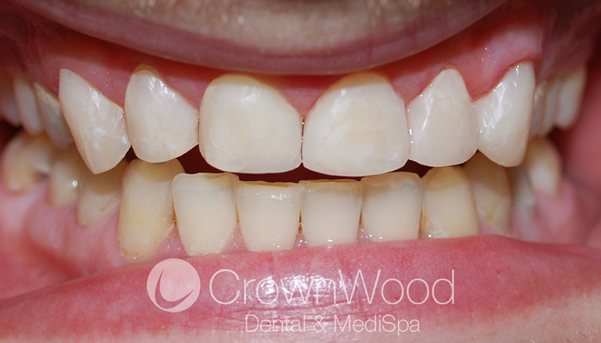 See our great before and after examples below. 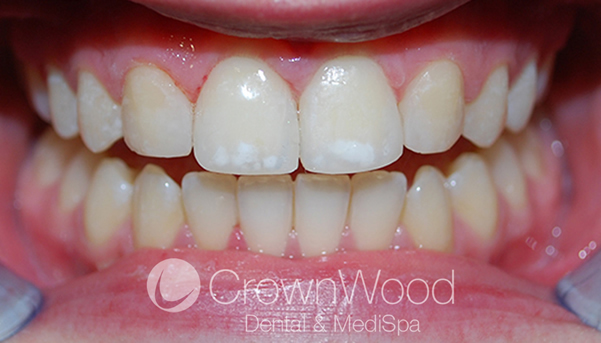 Composite bonding for space closure and to enhance the appearance and to protect from wear and decay. 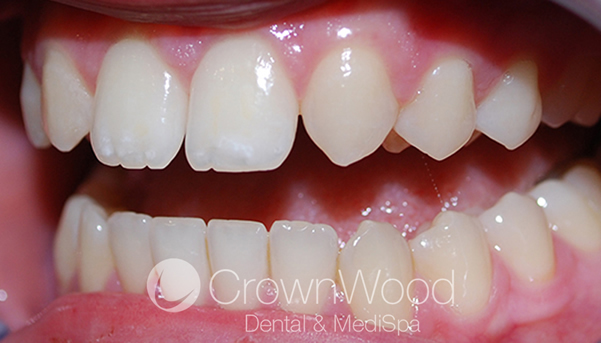 Composite bonding to enhance the appearance of the patient's front teeth. 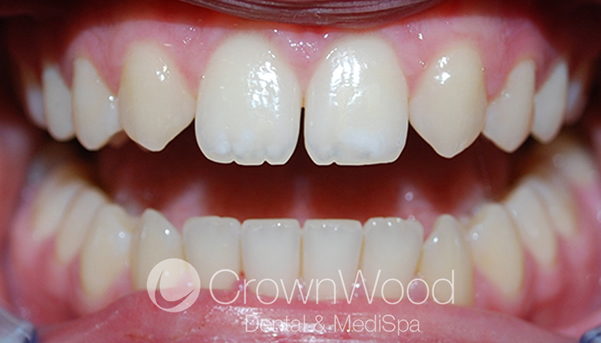 Composite bonding and interior smile design used to fix mishapen teeth. Composite bonding to enhance the appearance due to UL1 build up. 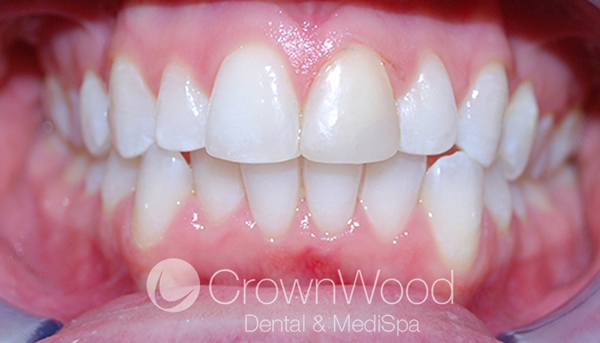 © CrownWood Dental. Website by design4dentists.